Direct actuated solenoid valves 3/2 twin base-plate. 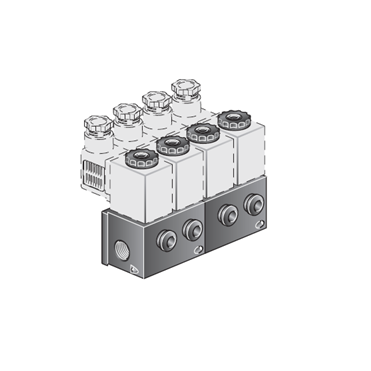 Direct actuated solenoid valves "MBE" series are available in 3/2 version with twin base-plate. The choice of high quality materials and technical solutions allows the solenoid valves to reach good performances even in harsh environmental conditions. This series can be purchaised as single solenoid valve or assembled in manifold. WORKING SECTION Select G 1/8 Push-in 4 mm.